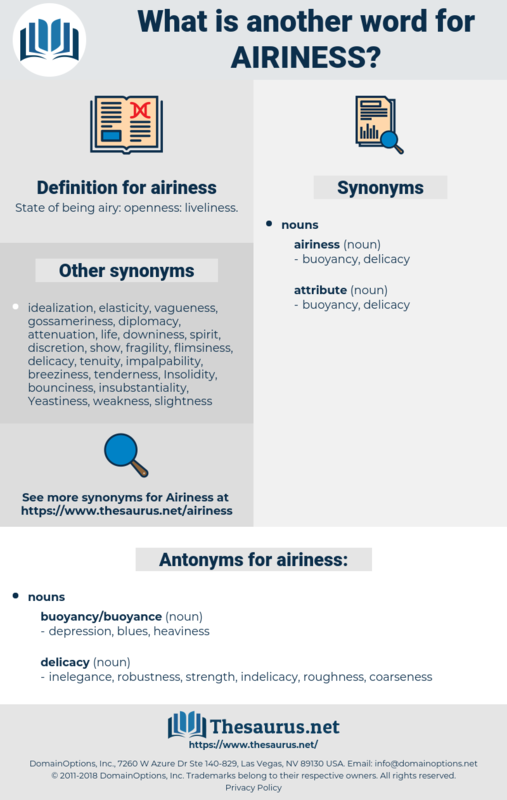 What is another word for airiness? 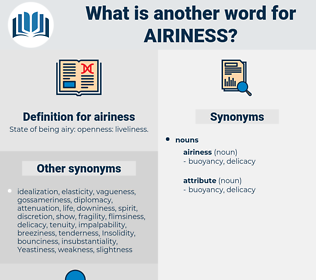 State of being airy: openness: liveliness. inelegance, robustness, strength, indelicacy, roughness, coarseness. arenaceous, ARNG, airing, air mass, arminius, arms, arnica, araneus, arrange, awareness, Aranyaka, arenga, arrhenius, arming, aramus, aramaic. lightness, commodiousness, roominess, spirit, capaciousness, weightlessness, sprightliness, life, liveliness, spaciousness.